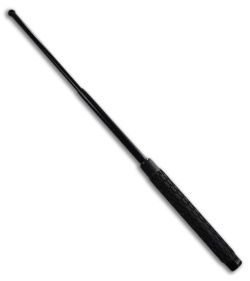 Self Defense Baton. The SCBAT24 Schrade baton has two segments that extend out making the total baton 24 inches in length. To extend the baton you simply swing the handle and the segments extend out and lock into place. Locking in the open and closed potion is accomplished through friction. The baton has a black finish, and a rubberized grip. 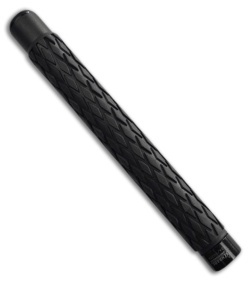 Also included is a heavy duty black nylon sheath. 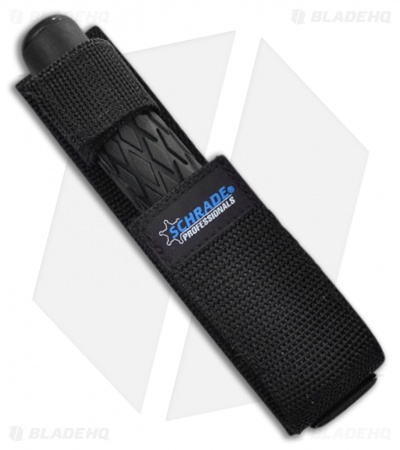 The Schrade tactical baton series represents a good synthesis of quality, cost, and defensive power.